PhD (Mechanical Engineering), University of London, England, U.K.
MPhil (Mechanical Engineering), University of London, England, U.K.
BSc (Eng) (Hons) (Mechanical Engineering), University of London, England, U.K. Distinguished University Professor, Sharif University of Technology, Iran, 1992. H. Askari and E. Esmailzadeh, “Forced vibration of ﬂuid conveying carbon nanotubes considering thermal effect and nonlinear foundations”, Journal of Composites Part B - Engineering, Vol. 113, No. 1, pp. 31-43, 2017. A. Arora, F. Diba and E. Esmailzadeh, “Experimental investigation of active yaw moment control system using a momentum wheel”, Journal of Systems Science and Control Engineering, Vol. 5, No. 1, pp. 108-116, 2017. H. Askari, D. Younesian, E. Esmailzadeh and L. Cveticanin, “Nonlocal effect in carbon nanotube resonators: A comprehensive review”, Journal of Advances in Mechanical Engineering, Vol. 9, No. 2, pp. 1-24, 2017. Z. Saadatnia, H. Askari and E. Esmailzadeh, “Multi-frequency excitation of microbeams supported by Winkler and Pasternak foundations”, Journal of Vibration and Control, DOI: 10.1177/1077546317695463, pp. 1-18, 2017. M. Zeinali and E. Esmailzadeh, “Adaptive Robust Control Design for Robot Manipulators Based on Online Estimation of the Lumped Time-Varying Model Uncertainties”, Chapter 15, Pages 374-400, ISBN: 978-1-4987-6487-2, “Adaptive Control for Robotic Manipulators”, Ed. D. Zhang and B. Wei, CRC Press 2016. M. Sadri, D. Younesian and E. Esmailzadeh, “Nonlinear harmonic vibration and stability analysis of a cantilever beam carrying an intermediate lumped mass”, Journal of Nonlinear Dynamics, Vol. 84, No. 3, pp. 1667-1682, 2016. S. Mashrouteh, M. Sadri, D. Younesian and E. Esmailzadeh, “Nonlinear vibration analysis of ﬂuid-conveying microtubes”, International Journal of Nonlinear Dynamics, Vol. 85, No. 2, pp. 1007-1021, 2016. F. Diba and E. Esmailzadeh, “Development of hybrid electric heavy-duty truck with self-propelled trailer”, International Journal of Heavy Vehicle Systems, in press, 2016. F. Yang, R. Sedaghati and E. Esmailzadeh, “Free in-plane vibration of curved beam structures: A tutorial and state-of-the-art”, Journal of Vibration and Control, under review, 2016. Z. Saadatnia and E. Esmailzadeh, “Nonlinear harmonic vibration analysis of fluid-conveying piezoelectric-layered nanotubes”, Journal of Composites Part B – Engineering, under review, 2016. F. Diba and E. Esmailzadeh, “Components sizing optimization of hybrid electric heavy duty truck using multi-objective genetic algorithm”, International Journal of Heavy Vehicle Systems, under review, 2016. H. Askari and E. Esmailzadeh, “Free and forced nonlinear higher modes vibrations of nonlocal single walled carbon nanotubes”, submitted for publication, 2016. Z. Saadatnia and E. Esmailzadeh, “Simultaneous combination resonances of nonlocal nano-beam under multi-frequency excitation”, submitted for publication, 2016. H. Askari and E. Esmailzadeh, “Nonlinear vibration analysis of nonlocal curved carbon nanotubes”, submitted for publication, 2016. Z. Saadatnia and E. Esmailzadeh, “Chaotic flexural oscillations of embedded nanotubes subjected to axial harmonic force”, submitted for publication, 2016. H. Askari, E. Esmailzadeh and A. Barari, “A unified approach for nonlinear vibration analysis of curved structures using non-uniform rational B-spline representation”, Journal of Sound and Vibration, Vol. 353, pp. 292-307, 2015. D. Younesian, M.H. Aleghafourian and E. Esmailzadeh, “Vibration analysis of circular annular plates subjected to peripheral rotating transverse loads”, Journal of Vibration and Control, Vol. 21, No.7, pp. 1443-1455, 2015. F. Yang, R. Sedaghati and E. Esmailzadeh, “Optimal design of distributed tuned mass dampers for passive vibration control of structures”, Journal of Structural Control and Health Monitoring, Vol. 22, No. 2, pp. 221–236, 2015. M.R. Rostam, F. Javid, E. Esmailzadeh and D. Younesian, “Vibration suppression of curved beams traversed by off-center moving loads”, Journal of Sound and Vibration, Vol. 352, pp. 1-15, 2015. F. Diba, E. Esmailzadeh and D. Younesian, “Nonlinear vibration analysis of isotropic plate with inclined part-through surface crack”, Nonlinear Dynamics Journal, Vol 78, No. 4, pp. 2377-2397, 2014. H. Askari, E. Esmailzadeh and D. Zhang, “Nonlinear vibration analysis of nonlocal nanowires”, Journal of Composites: Part B - Engineering, Vol. 67, No. 22, pp. 607-613, 2014. F. Yang, R. Sedaghati and E. Esmailzadeh, “Vibration suppression of curved beam-type structures using optimal multiple tuned mass dampers”, Journal of Vibration and Control, Vol. 20, No. 6, pp. 859-875, 2014. H. Askari, Z. Saadatnia, E. Esmailzadeh and D. Younesian, “Multi-frequency excitation of stiffened triangular plates for large amplitude oscillations”, Journal of Sound and Vibration, Vol. 333, No. 22, pp. 5817-5835, 2014. B. Rezaie, I. Dincer, and E. Esmailzadeh, “Evaluation of sustainable energy options for non-residential buildings”, Progress in Sustainable Energy Technologies, Editors: I. Dincer, A. Midilli, H. Kucuk, Vol. 2, Chapter 2, pp. 11-35, Springer, 2014. A. Goodarzi, F. Diba, and E. Esmailzadeh, “Innovative active vehicle safety using integrated stabilizer pendulum and direct yaw moment control”, Journal of Dynamic Systems, Measurement and Control, Vol. 136, No. 5, pp. 051026-051026-13.2014. S. Tebby, A. Barari and E. Esmailzadeh, “Development of optimized preliminary vehicle structural model using simple structural beams-frames (SSB) and sub-structural analysis”, Journal of Computer-Aided Design and Applications, Vol. 11, No. 5, pp. 544-551, 2014. D. Younesian, S.R. Marjani, and E. Esmailzadeh, “Importance of flexural mode shapes in dynamic analysis of high-speed trains traveling on bridges”, Journal of Vibration and Control, Vol. 20, No. 10, pp. 1565-1583, 2014. F. Diba, A. Barari, and E. Esmailzadeh, “Handling enhancement of race cars using active aerodynamic systems”, International Journal of Vehicle Systems Dynamics, Vol. 52, No. 9, pp. 1171-1190, 2014. A. Hadadian, R. Sedaghati and E. Esmailzadeh, “Design optimization of magnetorheological fluid valves using response surface method”, Journal of Intelligent Material Systems and Structures, Vol. 25, No. 11, pp. 1352-1371, 2014. D. Younesian, M. Sadri, and E. Esmailzadeh, “Primary and secondary resonance analyses of clamped-clamped micro-beams”, Journal of Nonlinear Dynamics, Vol. 76, No. 4, pp. 1867-1884, 2014. F. Diba, A. Arora and E. Esmailzadeh, “Optimized robust cruise control system for an electric vehicle”, Journal of Systems Science and Control Engineering, Vol. 2, No. 1, pp. 175-182, 2014. F. Diba and E. Esmailzadeh, “Integrated momentum wheel and differential braking control to improve vehicle dynamic performance”, Journal of Systems and Control Engineering, Vol. 227, No. 7, pp. 563-576, 2013. M. Ansari, A. Khajepour and E. Esmailzadeh, “Application of level set method to optimal vibration control of plate structures”, Journal of Sound and Vibration, Vol. 332, No. 4, pp. 687-700, 2013. D. Younesian, S. R. Marjani and E. Esmailzadeh, “Nonlinear vibration analysis of harmonically excited cracked beams on viscoelastic foundations”, Journal of Nonlinear Dynamics, Vol. 71, No. 1, pp. 109-120, 2013. S. Tebby, A. Barari and E. Esmailzadeh, “Optimization of vehicle structure considering torsion stiffness using simple structural beam frame-approach”, Journal of Computer- Aided Design and Applications, Vol. 10, No. 3, pp. 413- 426, 2013. B. Rezaie, I. Dincer and E. Esmailzadeh, “Energy options for residential buildings assessment”, Journal of Energy Conversion and Management, Vol. 65, pp. 637-646, 2013. J.S. Grewal, R. Sedaghati, and E. Esmailzadeh, “Vibration analysis and design optimization of sandwich beams with constrained viscoelastic core layer”, Journal of Sandwich Structures and Materials, Vol. 15, No. 2, pp. 203-228, 2013. J.J. Zhu, A. Khajepour, E. Esmailzadeh and A. Kasaiezadeh, “Ride quality evaluation of a vehicle with a planar suspension system”, International Journal of Vehicle Systems Dynamics, Vol. 50, No. 3, pp. 395-413, 2012. M. Moghaddas, E. Esmailzadeh, R. Sedaghati, and P. Khosravi, “Vibration control of Timoshenko beam traversed by moving vehicle using optimized tuned mass damper”, Journal of Vibration and Control, Vol. 18, No. 6, pp. 757-773, 2012. T. Sun, Y. He, E. Esmailzadeh, and J. Ren, “Lateral stability improvement of car-trailer systems using active trailer braking control”, Journal of Mechanics and Automation Engineering, Vol. 2, No. 9, pp. 555-562, 2012. J.J. Zhu, A. Khajepour, and E. Esmailzadeh, “Dynamic response of a vehicle with planar suspension system (PSS) under differential braking”, International Journal of Vehicle Systems Dynamics, Vol. 50, No. 1, pp. 19-41, 2012. J.J. Zhu, A. Khajepour, and E. Esmailzadeh, “Total dynamic response of a PSS vehicle negotiating asymmetric road excitations”, Journal of Vehicle Systems Dynamics, Vol. 50, No. 12, pp. 1835-1859, 2012. H. Askari, D. Younesian, Z. Saadatnia, and E. Esmailzadeh, “Nonlinear free vibration analysis of the functionally graded beams”, Journal of Vibroengineering, Vol. 14, No. 3, pp. 1233-1245, 2012. F. Yang, R. Sedaghati, and Esmailzadeh, “A novel distributed tuned mass damper design approach”, ICIRA 2012, Part III, LNAI 7508, pp. 268-276, Springer-Verlag, 2012. M. Ansari, E. Esmailzadeh, and N. Jalili, “Exact Frequency Analysis of a Rotating Cantilever Beam with Tip Mass Subjected to Torsional–Bending Vibrations”, ASME Trans., Journal of Vibration and Acoustic, Vol. 133, pp. 041003-1(9 pages), 2011. P. A. Hassanpour, W. L. Cleghorn, E. Esmailzadeh, and J. K. Mills, “Experimental Measurement of Resonance Frequencies of Asymmetric Micro-bridge Resonators”, Journal of Intelligent Material Systems and Structures, Vol. 22, pp. 127-136, 2011. A. Goodarzi, E. Oloumi, and E. Esmailzadeh, “Design and analysis of an intelligent controller for active geometry suspension systems”, Vehicle Systems Dynamics, Vol. 41, pp. 333-359, 2011. M. Ansari, E. Esmailzadeh, and D. Younesian, “Frequency analysis of finite beams on nonlinear Kelvin-Voight foundations under moving loads”, Journal of Sound and Vibration, Vol. 330, No. 7, pp. 1455-1471, 2011. D. Younesian and E. Esmailzadeh, “Vibration suppression of rotating beams using time-varying internal tensile force”, Journal of Sound and Vibration, Vol. 330, No. 2, pp. 308-320, 2011. J.J. Zhu, A. Khajepour, and E. Esmailzadeh, “Handling the transient response of a vehicle with a planar suspension system”, Journal of Automobile Engineering, Proc. IMechE, Part D, Vol. 225, pp. 1-17, 2011. B. Rezaie, E. Esmailzadeh, and I. Dincer, “Renewable energy options for buildings: Case studies”, Journal of Energy and Buildings, Vol. 43, pp. 56-65, 2011. P. A. Hassanpour, E. Esmailzadeh, W. L. Cleghorn, and J. K. Mills, “Nonlinear Vibration of Micromachined Asymmetric Resonators”, Journal of Sound and Vibration, Vol. 329, pp. 2547-2564, 2010. J.J. Zhu, A. Khajepour, and E. Esmailzadeh, “Comparative Study of Steady-state Handling Performance of a Vehicle with Planar and Conventional Suspension Systems”, International Journal of Vehicle Systems Modelling and Testing, Vol. 5, No. 4, pp. 273-291, 2010. F. Yang, E. Esmailzadeh, and R. Sedaghati, “Optimal Vibration Suppression of Structures under Random Base Excitation using Semi-Active Mass Damper”, Journal of Vibration and Acoustics, Vol. 132, Issue 041002-1(10 Pages), 2010. D. Younesian, and E. Esmailzadeh, “Non-linear vibration of variable speed rotating viscoelastic beams”, Nonlinear Dynamics Journal, Vol. 60, pp. 193-205, 2010. P.A. Hassanpour, E. Esmailzadeh, W.L. Cleghorn, and J.K. Mills, “Generalized Orthogonality Condition for Beams with Intermediate Lumped Masses Subjected to Axial Force”, Journal of Vibration and Control, Vol. 16, No. 5, pp. 665–683, 2010. F. Yang, E. Esmailzadeh, and R. Sedaghati, “Optimal vibration control of beam-type structures using multiple-tuned-mass-dampers”, Journal of Multi-Body Dynamics - (Part K of the Proceedings of the Institution of Mechanical Engineers), Vol. 224, No. K, pp. 191-202, 2010. J.J. Zhu, A. Khajepour, and E Esmailzadeh, “Pitch dynamic study of a vehicle with a planar suspension system”, International Journal of Vehicle Systems Modelling and Testing, Vol. 5, No. 1, pp. 18-34, 2010. M. Ansari, E. Esmailzadeh, and D. Younesian, "Internal-external Resonance in Vibration of Beams on Nonlinear Viscoelastic Foundation Traversed by Moving Load”, Nonlinear Dynamics Journal, Vol. 61, No. 1, pp. 163-182, 2010. F. Yang, R. Sedaghati, and E. Esmailzadeh, "Vibration suppression of non-uniform curved beams under random loading using optimal tuned mass dampers", Journal of Vibration and Control, Vol. 15, No. 2, pp. 233–261, 2009. A. Goodarzi, J. Mehrmashhadi, and E. Esmailzadeh, "Optimized Braking Force Distribution Strategies for Straight and Curved Braking", International Journal of Heavy Vehicle Systems, Vol. 16, No. 1-2, pp. 78-101, 2009. M. Moghaddas, R. Sedaghati, E. Esmailzadeh, and P. Khosravi, “Dynamic Finite Element Analysis of a Timoshenko Beam Traversed by a Moving Vehicle”, Journal of Multi-body Dynamics - (Part K of the Proceedings of the Institution of Mechanical Engineers), Vol. 223, pp. 231-243, 2009. F. Yang, R. Sedaghati, and E. Esmailzadeh, “Development of LuGre Friction Model for Large-scale Magneto-Rheological Fluid Dampers”, Journal of Intelligent Material Systems and Structures, Vol. 20, pp. 923-937, 2009. M. Ansari, E. Esmailzadeh, and N. Jalili, “Coupled vibration and parameter sensitivity analysis of rocking-mass vibrating gyroscopes”, Journal of Sound and Vibration, Vol. 327, pp. 564-583, 2009. F. Yang, R. Sedaghati, and E. Esmailzadeh, “Optimal Vibration Suppression of Timoshenko Beam With Tuned-Mass-Damper Using Finite Element Method”, Journal of Vibration and Acoustics, Vol. 131, pp. 031006-1-8, 2009. M. Ansari, E. Esmailzadeh, and D. Younesian, “Longitudinal dynamics of freight trains”, International Journal of Heavy Vehicle Systems, Vol. 16, No. 1-2, pp. 102-131, 2009. D. Younesian, M.H. Kargarnovin, and E. Esmailzadeh, "Optimal Passive Vibration Control of Timoshenko Beams with Arbitrary Boundary Conditions Traversed by Moving Load", Journal of Multi-Body Dynamics - (Part K of the Proceedings of the Institution of Mechanical Engineers), Vol. 222, No. 2, pp. 179-188, 2008. A. Goodarzi, M. Behmadi, and E. Esmailzadeh, "An Optimized Braking Force Distribution Strategy for Articulated Vehicles", Journal of Vehicle System Dynamics, Vol. 46, No. S1, pp. 849-856, 2008. M.T. Ahmadian, R.A. Jafari-Talookolaei, and E. Esmailzadeh, "Dynamics of a Laminated Composite Beam on Pasternak-Viscoelastic Foundation Subjected to a Moving Oscillator", Journal of Vibration and Control, Vol. 14, No. 6, pp. 807-830, 2008. M. Ansari, I.A. Hazrati, E. Esmailzadeh, and S. Azadi, "Wear Rate Estimation of Train Wheels using Dynamic Simulation and Field Measurements", Journal of Vehicle System Dynamics, Vol. 46, No. 8, pp. 739–759, 2008. F. Yang, R. Sedaghati, and E. Esmailzadeh, "Free in-plane vibration of general curved beams using finite element method", Journal of Sound and Vibration, Vol. 318, pp. 850-867, 2008. A. Goodarzi, A. Sabooteh, and E. Esmailzadeh, “Automatic Path Control Based on Integrated Steering and External Yaw-Moment Control”, Journal of Multi-Body Dynamics - (Part K of the Proceedings of the Institution of Mechanical Engineers), Vol. 222, No. 2, pp. 189-200, 2008. A. Goodarzi and E. Esmailzadeh, “Design of a VDC System for All–Wheel Independent Drive Vehicles” IEEE/ASME Transactions on Mechatronics, Vol. 12, No. 6, pp. 1-8, 2007. P.A. Hassanpour, W.L. Cleghorn, E. Esmailzadeh, and J.K. Mills, “Vibration Analysis of Micro–Machined Beam–type Resonators”, Journal of Sound and Vibration, Vol. 308, No. 1, pp. 287-301, 2007. D. Younesian, E. Esmailzadeh, and R. Sedaghati, “Asymptotic Solutions and Stability Analysis for Generalized Non-Homogeneous Mathieu Equation”, Communication in Nonlinear Science and Numerical Simulation, Vol. 12, No. 1, pp. 58-71, 2007. P.A. Hassanpour, W.L. Cleghorn, E. Esmailzadeh, and J. K. Mills, “Exact Solution of the Oscillatory Behaviour of a Beam with a Concentrated Mass within its Interval under Axial Force”, Journal of Vibration and Control, Vol. 13, No. 12, pp. 1675-88, 2007. D. Zhang, L. Wang and E. Esmailzadeh, “Web-Based Remote Manipulation of Parallel Robot in Advanced Manufacturing Systems”, Chapter 23, Pages 659-674, “Industrial Robotics: Theory, Modelling and Control”, Book edited by Sam Cubero, ISBN 3-86611-285-8, INTECH, ARS Austria, 2006. D. Younesian, E. Esmailzadeh, and R. Sedaghati, “Passive Vibration Control of Beams Subjected to Random Excitations with Peaked PSD”, International Journal of Vibration and Control, Vol. 12, No. 9, pp. 941-953, 2006. D. Zhang, L. Wang, and E. Esmailzadeh, “PKM Capabilities and Applications Exploration in a Collaborative Virtual Environment”, Robotics and Computer–Integrated Manufacturing, Vol. 22, No. 4, pp. 384-395, 2006. N. Jalili and E. Esmailzadeh, Vibration Control Chapter 23 of the Vibration and Shock Handbook, CRC Press LLC, ISBN/ISSN: 0-84931580, 23, pp. 1047-1092, 2005. D. Younesian, E. Esmailzadeh, and R. Sedaghati, “Existence of Periodic Solutions for the Generalized Form of Mathieu Equation”, International Journal of Nonlinear Dynamics, Vol. 39, pp. 335-348, 2005. S. Sokhanvar, J. Dargahi, M. Packirisamy, and E. Esmailzadeh, “Modeling of Chemical Control of Human Respiratory System”, Journal of Bio–Medical Materials and Engineering, Vol. 15, No. 6, pp. 467-481, 2005. M. Dadfarnia, N. Jalili, and E. Esmailzadeh, “A comparative study of the Galerkin approximation utilized in the Timoshenko beam theory”, Journal of Sound and Vibration, Vol. 280, pp. 1132-1142, 2005. E. Esmailzadeh, A.R. Ohadi and A. Alasty, “Multi-channel adaptive feed-forward control of noise in an acoustic duct”, ASME Transactions, Journal of Dynamic Systems, Measurement, and Control, Vol. 126, No. 2, pp. 406-415, 2004. E. Esmailzadeh and N. Jalili, “On the dynamics of vehicle passenger structure interaction on uniform bridges”, Journal of Sound and Vibration, Vol. 271, No. 3-5, Pages 1099-1112, 2004. E. Esmailzadeh, A. Goodarzi and G. R. Vossoughi, "Optimal yaw moment control law for improved vehicle handling”, International Journal of Mechatronics, Vol. 13, No. 7, pp. 659-675, 2003. E. Esmailzadeh and N. Jalili, “Vehicle-passenger-structure interaction of uniform bridges traversed by moving vehicles”, Journal of Sound and Vibration, Vol. 260, No. 4, pp. 611-635, 2003. R. Sedaghati and E. Esmailzadeh, “Optimum design of structures with stress and displacement constraints using the force method”, International Journal of Mechanical Sciences, Vol. 45, No. 8, pp. 1369-1389, 2003. N. Jalili and E. Esmailzadeh, “A nonlinear double-winged adaptive neutralizer for optimum structural vibration suppression”, Communications in Nonlinear Science and Numerical Simulation, Vol. 8, No. 2, pp. 113-134, 2003. E. Esmailzadeh, A. R. Ohadi and A. Alasty, “Feed-forward control of sound in a one-dimensional acoustic duct”, ASME Transactions, Journal of Dynamic Systems, Measurement, and Control, Vol. 125, No. 4, pp. 225-236, 2003. E. Esmailzadeh, A. Goodarzi, and G.R. Vossoughi, "Directional stability and control of four-wheel independent drive electric vehicles”, Journal of Multi-body Dynamics, Vol. 216, No. 4, pp. 303-313, 2002. E. Esmailzadeh, A. Alasty, and A.R. Ohadi, “Hybrid active noise control of a one-dimensional acoustic duct”, ASME Transactions, Journal of Vibration and Acoustics, Vol. 124, No. 1, pp. 10-18, 2002. N. Jalili and E. Esmailzadeh, "Adaptive-passive structural vibration attenuation using distributed absorbers”, Journal of Multi-body Dynamics, Vol. 216, No. 3, pp. 223-235, 2002. E. Esmailzadeh and A. R. Ohadi, "Design aspects for feed-forward multi-input active noise controllers”, International Journal of Science and Engineering, Transaction B, Vol. 26, No. B3, Pages 407-418, 2002. N. Jalili and E. Esmailzadeh "Dynamic interaction of vehicles moving on uniform bridges”, Journal of Multi-body Dynamics, Vol. 216, No. 4, Pages 343-350, 2002. E. Esmailzadeh and A. Goodarzi, "Stability analysis of a Catenary anchor leg mooring floating offshore structure”, International Journal of Non-Linear Mechanics, Vol. 36, No. 6, Pages 917-926, 2001. N. Jalili and E. Esmailzadeh, "Optimum active vehicle suspensions with actuator time delay”, ASME Transactions, Journal of Dynamic Systems, Measurement, and Control, Vol. 123, No. 1, Pages 54-61, 2001. E. Esmailzadeh, G. R. Vossoughi, and A. Goodarzi, "Dynamic modeling and analysis of a four motorized wheels electric vehicle”, International Journal of Vehicle System Dynamics, Vol. 35, No. 3, Pages 163-194, 2001. N. Jalili and E. Esmailzadeh, “On the optimum design of vibration absorbers for structurally damped Timoshenko beams”, ASME Transactions, Journal of Vibration and Acoustics, Vol. 123, No. 4, Pages 548-549, 2001. E. Esmailzadeh and B. Tabarrok, "Directional response and yaw stability of articulated Log hauling combination trucks”, SAE Transactions, Journal of Commercial Vehicles, Vol. 109, No. 2, Paper # 01-3478, 2000. E. Esmailzadeh and A.R. Ohadi, "Vibration and stability analysis of non-uniform Timoshenko beams under axial and distributed tangential loads", Journal of Sound and Vibration, Vol. 236, No. 3, Pages 443-457, 2000. B. Tabarrok and E. Esmailzadeh, "Induced vibration of bridges traversed by moving vehicles", Transactions of the CSME, Canadian Society for Mechanical Engineering, Vol. 24, No. 1B, Pages 191-198, 2000. E. Esmailzadeh and K. A. Farzaneh, "Shimmy vibration analysis of aircraft landing gears", Journal of Vibration and Control, Incorporating Modal Analysis, Vol. 5, No. 1, Pages 45 - 56, 1999. E. Esmailzadeh and A.R. Shahani, "Longitudinal and rotational coupled vibration of Viscoelastic bars with tip mass", International Journal of Non-Linear Mechanics, Vol. 34, No. 1, Pages 111 - 116, 1999. E. Esmailzadeh and M.A. Jalali, "Nonlinear oscillations of Viscoelastic rectangular plates", International Journal of Nonlinear Dynamics, Vol. 18, No. 4, Pages 311 - 319, 1999. E. Esmailzadeh and H. Bateni, "Adaptive, preview, and full-optimal control for active vehicle suspensions”, IASTED, International Journal of Modeling and Simulation, Vol. 18, No. 4, Pages 261 - 266, 1998. E. Esmailzadeh and N. Jalili, "Optimum design of vibration absorbers for structurally damped Timoshenko beams", ASME Transactions, Journal of Vibration and Acoustics, Vol. 120, No. 4, Pages 833 - 841, 1998. H.D. Taghirad and E. Esmailzadeh, "Automobile passenger comfort assured through LQG / LTR active suspension”, Journal of Vibration and Control, Incorporating Modal Analysis, Vol. 4, No. 5, Pages 603 - 618, 1998. E. Esmailzadeh and G. Nakhaie-Jazar, "Periodic behavior of a cantilever beam with end mass subjected to harmonic base excitation", International Journal of Non- Linear Mechanics, Vol. 33, No. 4, Pages 567 - 577, 1998. E. Esmailzadeh and N. Jalili, "Parametric response of cantilever Timoshenko beams with tip mass under harmonic support motion", International Journal of Non-Linear Mechanics, Vol. 33, No. 5, Pages 765 - 781, 1998. E. Esmailzadeh and H.D. Taghirad, "Active vehicle suspensions with optimal state-feedback control", IASTED, International Journal of Modeling and Simulation, Vol. 18, No. 3, Pages 228 - 238, 1998. E. Esmailzadeh and B. Tabarrok, "Handling performance and lateral stability of articulated logging trucks", SAE Transactions, Journal of Commercial Vehicles, Vol. 107, No. 2, Paper # 2786, 1998. E. Esmailzadeh and F. Fahimi, “Optimal adaptive active suspensions for a full car model", International Journal of Vehicle System Dynamics, Vol. 27, No. 2, Pages 89 - 107, 1997. E. Esmailzadeh, G. Nakhaie-Jazar, and B. Mehri, "Vibration of road vehicles with non-linear suspensions", International Journal of Engineering Research, Vol. 10, No. 4, Pages 209 - 217, 1997. E. Esmailzadeh and N. Jalili, “Parametric vibration of Timoshenko beam under periodic axial support motion”, ISME Transactions, Journal of Mechanical Engineering International Edition, Vol. 5, No. 1, Pages 25-39, 1997. E. Esmailzadeh and M. Ghorashi, "Vibration analysis of Timoshenko beam subjected to a traveling mass", Journal of Sound and Vibration, Vol. 199, No. 4, Pages 615 - 628, 1997. E. Esmailzadeh, G. Nakhaie-Jazar, and B. Mehri, "Existence of periodic solution for beams with harmonically variable length", ASME Transactions, Journal of Vibration and Acoustics, Vol. 119, No. 3, Pages 485 - 488, 1997. E. Esmailzadeh and G. Nakhaie-Jazar, "Periodic solution of a Mathieu-Duffing type equation", International Journal of Non-Linear Mechanics, Vol. 32, No. 5, Pages 905 - 912, 1997. E. Esmailzadeh, M. Ghorashi, and A.R. Ohadi, "Analysis of pre-loaded bolt joints under exponentially decaying pressure", ASME Transactions, Journal of Pressure Vessel Technology, Vol. 118, No. 4, Pages 393 - 398, 1996. E. Esmailzadeh, G. Nakhaie-Jazar, and B. Mehri, "Periodic solution of a second order autonomous nonlinear system", International Journal of Nonlinear Dynamics, Vol. 10, No. 4, Pages 307 - 316, 1996. E. Esmailzadeh, "Directional performance and yaw stability of articulated combination trucks", SAE International Publication, Commercial Vehicles and Highway Dynamics, SP-1201, Pages 39 - 56, 1996. E. Esmailzadeh and M. Ghorashi, “Vibration analysis of beams traversed by uniform partially distributed moving mass”, Journal of Sound and Vibration, Vol. 184, No. 1, Pages 9-17, 1995. E. Esmailzadeh and H.D. Taghirad, "State-feedback control for passenger ride dynamics", CSME Transactions, The Canadian Society for Mechanical Engineering, Vol. 19, No. 4, Pages 213 - 220, 1995. E. Esmailzadeh, M. Ghorashi, and B. Mehri, "Periodic behavior of a class of nonlinear dynamical system", International Journal of Nonlinear Dynamics, Vol. 7, No. 3, Pages 335 - 344, 1995. S. Mashrouteh, S. Rahnamayan and E. Esmailzadeh, “Optimal Vibration Control and Innovization for Rectangular Plate”, CEC2017 IEEE Congress on Evolutionary Computation, June 5-8, 2017, Donostia - San Sebastián, Spain. S. Mashrouteh, D. Younesian and E. Esmailzadeh, “Nonlinear Vibration Analysis of a Viscoelastic Cracked Plate”, CANCAM2017, 26th Canadian Congress of Applied Mechanics, May 29 - June 1, 2017, Victoria, British Columbia, Canada. S. Mashrouteh, A. Barari and E. Esmailzadeh, “Flow-induced Nonlinear Vibration of Non-uniform Nanotubes”, ASME International Design Engineering Technical Conferences IDETC/CIE17, August 6-9, 2017, Cleveland, Ohio, USA. Z. Saadatnia and E. Esmailzadeh, “Chaotic Flexural Oscillations of Embedded Non-local Nanotubes Subjected to Axial Harmonic Force”, ASME International Design Engineering Technical Conferences IDETC/CIE17, August 6-9, 2017, Cleveland, Ohio, USA. S. Farhangdoust, D. Younesian and E. Esmailzadeh, “Interaction of Higher Modes in Nonlinear Vibration of Stiffened Rectangular Plates”, ASME International Design Engineering Technical Conferences IDETC/CIE17, August 6-9, 2017, Cleveland, Ohio, USA. Z. Saadatnia, E. Esmailzadeh and D. Younesian, “Analytical Solutions for the Nonlinear Vibration of Timoshenko Microbeams”, ASME International Design Engineering Technical Conferences IDETC/CIE16, August 21-24, 2016, Charlotte, North Carolina, USA. H. Askari and E. Esmailzadeh, “Nonlinear Forced Vibration of Curved Carbon Nanotube Resonators”, ASME International Design Engineering Technical Conferences IDETC/CIE16, August 21-24, 2016, Charlotte, North Carolina, USA. H. Askari and E. Esmailzadeh, “Nonlinear Vibration of Carbon Nanotube Resonators Considering Higher Modes”, International Design Engineering Technical Conferences, August 2-5, 2015, Boston, Massachusetts, USA. Z. Saadatnia and E. Esmailzadeh, “Nonlinear Forced Vibration Analysis of a Non-Local Carbon Nanotube Carrying Intermediate Mass”, International Design Engineering Technical Conferences, August 2-5, 2015, Boston, Massachusetts, USA. M. Sadri, D. Younesian and E. Esmailzadeh, “Nonlinear Harmonic Vibration of a Fully Clamped Micro Beam”, International Design Engineering Technical Conferences, August 2-5, 2015, Boston, Massachusetts, USA. I. Wood, A. Barari and E. Esmailzadeh, “Using simple structural beam model to optimize and analyze automotive structures for torsion stiffness and fundamental natural frequency”, Canadian Society for Mechanical Engineering International Congress, June 1-4, 2014, Toronto, Canada. H. Askari and E. Esmailzadeh, “Effect of Longitudinal Electromagnetic Field on the Forced Vibration of the Carbon Nanotube”, Canadian Society for Mechanical Engineering International Congress, June 1-4, 2014, Toronto, Canada. M. Sadri, D. Younesian and E. Esmailzadeh, “Nonlinear vibration analysis of a harmonically excited clamped-clamped micro-beam”, 8th European Nonlinear Dynamics Conference, July 6 – 11, 2014, Vienna, Austria. Z. Saadatnia, H. Askari and E. Esmailzadeh, “Nonlinear forced vibrations analysis of Nano beams considering surface density effects”, 8th European Nonlinear Dynamics Conference, July 6 – 11, 2014, Vienna, Austria. H. Askari and E. Esmailzadeh, “Free vibration of micro cantilever beam with electromagnetic actuators”, ASME, 12th Biennial Conference on Engineering Systems Design and Analysis, June 25-27, 2014, Copenhagen, Denmark. S. Mashrouteh, M. Sadri, D. Younesian and E. Esmailzadeh, “Nonlinear Free Vibration Analysis of a Fluid-Conveying Microtube”, International Mechanical Engineering Congress and Exposition, November 14-20, 2014, Montreal, Canada. Z. Saadatnia, S. Rahnamayan and E. Esmailzadeh, “Vibration Analysis and Multi-objective Optimization of Stiffened Triangular Plate”, International Design Engineering Technical Conferences, August 17-20, 2014, Buffalo, New York, USA. H. Askari, E. Esmailzadeh and D. Younesian, “Nonlinear Forced Vibration of Carbon Nanotubes considering Thermal Effects, International Design Engineering Technical Conferences, August 17-20, 2014, Buffalo, New York, USA. M. Sadri, S. Mashrouteh, D. Younesian and E. Esmailzadeh, “Nonlinear free vibration analysis of a double-walled carbon nanotube”, 14th IEEE International Conference on Nanotechnology, August 18-21, 2014, Toronto, Canada. H. Askari and E. Esmailzadeh, “Chaotic and Periodic Vibration of a Carbon Nanotube Supported by Nonlinear Foundation”, 14th IEEE International Conference on Nanotechnology, August 18-21, 2014, Toronto, Canada. Z. Saadatnia, A. Barari and E. Esmailzadeh, “Nonlinear Forced Vibration Analysis of Free-Form Nanotube Conveying Fluid”, 14th IEEE International Conference on Nanotechnology, August 18-21, 2014, Toronto, Canada. I. Wood, A. Barari and E. Esmailzadeh, “Using the Simple Structural Beam (SSB) Model to Optimize and Analyze Automotive Structures for Static and Dynamic Loading”, International Design Engineering Technical Conference, August 17-20, 2014, Buffalo, USA. Z. Saadatnia, E. Esmailzadeh and D. Younesian, “Nonlinear Forced Vibration Analysis of Fluid Conveying Nanotubes under Electromagnetic Actuation”, International Design Engineering Technical Conferences, August 17-20, 2014, Buffalo, New York, USA. H. Askari, E. Esmailzadeh and D. Younesian, “Dynamic Behavior of Carbon Nanotubes using Nonlocal Rayleigh Beam”, International Design Engineering Technical Conferences, August 17-20, 2014, Buffalo, New York, USA. 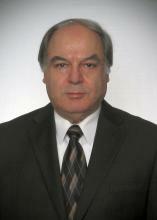 Z. Saadatnia, E. Esmailzadeh and D. Younesian, “Analytical Solutions for Nonlinear Free Vibration of the Micro-Scale Timoshenko Beam”, International Mechanical Engineering Congress and Exposition, November 14-20, 2014, Montreal, Canada. I. Wood, A. Barari and E. Esmailzadeh, “Using Simple Structural Beam Model to Optimize Bending Stiffness and Dynamic Properties in Automotive Structures”, International Mechanical Engineering Congress & Exposition, November 14-20, 2014, Montreal, Canada. H. Askari, Z. Saadatnia and E. Esmailzadeh, “Nonlinear Vibration of Nanobeam with Quadratic Rational Bezier arc Curvature”, International Mechanical Engineering Congress and Exposition, November 14-20, 2014, Montreal, Canada. M. Sadri, D. Younesian and E. Esmailzadeh, “Application of Variational Iteration Method in Nonlinear Free Vibration Analysis of Multi-Layered Nano-Scale Graphene Sheets”, International Mechanical Engineering Congress and Exposition, November 14-20, 2014, Montreal, Canada. H. Askari, D. Zhang, and E. Esmailzadeh, “Nonlinear vibration of fluid-conveying carbon nanotube using homotopy analysis method”, 13th IEEE International Conference on Nanotechnology, August 5-8, 2013, Shangri-La Hotel, Beijing, China. S. Tebby, A. Barari, and E. Esmailzadeh, “Development of optimized preliminary vehicle structural model using simple structural beams-frames (SSB) and sub-structural analysis”, Proceedings, International CAD Conference and Exhibition, June 17-20, 2013, Bergamo, Italy. F. Diba, H. Askari, and E. Esmailzadeh, “Nonlinear vibration analysis of an isotropic rectangular cracked plate”, 4th Canadian Conference on Nonlinear Solid Mechanics (CanCNSM 2013), July 23-26, 2013, McGill University, Montreal, Quebec, Canada. H. Askari, D. Zhang, and E. Esmailzadeh, “Periodic solutions for nonlinear oscillations of nanowires using variational iteration method”, 13th IEEE International Conference on Nanotechnology, August 5-8, 2013, Shangri-La Hotel, Beijing, China. F. Diba, and E. Esmailzadeh, “A new parallel-series configuration for hybridization of a line-haul truck”, 2013 IEEE Transportation Electrification Conference and Expo, June 16-19, 2013, Metro Detroit, Michigan, USA. Z. Saadatnia, D. Younesian, and E. Esmailzadeh, “Nonlinear frequency analysis of a nanoplate under a type of Winkler-Pasternak foundation”, 4th Canadian Conference on Nonlinear Solid Mechanics (CanCNSM 2013), July 23-26, 2013, McGill University, Montreal, Quebec, Canada. H. Askari, and E. Esmailzadeh, “Analytical solutions for nonlinear longitudinal vibrations of an elastic rod”, ASME International Mechanical Engineering Congress and Exposition, IMECE2013, November 13-21, 2013, San Diego, California, USA. H. Askari, F. Diba, and E. Esmailzadeh, “Analytical solutions of the nonlinear vibration of strings”, 4th Canadian Conference on Nonlinear Solid Mechanics (CanCNSM 2013), July 23-26, 2013, McGill University, Montreal, Quebec, Canada. S. Zhu, M.M. Islam, Y. He, J. Ren, and E. Esmailzadeh, “Active vehicle suspension systems design using control technique”, International Conference on Mechanical Engineering and Mechatronics, August 8-10 2013, Toronto, Ontario, Canada. Z. Saadatnia, D. Younesian, and E. Esmailzadeh, “Large amplitude nonlinear vibration analysis of a flexible string under constant tension”, 4th Canadian Conference on Nonlinear Solid Mechanics (CanCNSM 2013), July 23-26, 2013, McGill University, Montreal, Canada. Z. Saadatnia, H. Askari, D. Younesian, and E. Esmailzadeh, “Nonlinear vibration analysis and approximate solution of micro-beams”, ASME International Design Engineering Technical Conferences, IDETC/CIE 2013, August 4-7, 2013, Portland, Oregon, USA. H. Askari, A. Barari, and E. Esmailzadeh, “Analytical solutions for nonlinear oscillation of curved nanotube”, 11th Biennial International Conference on Vibration Problems (ICOVP-2013), September 9-12, 2013, Lisbon, Portugal. A. Arora, Y. Lu, F. Diba, and E. Esmailzadeh, “Robust cruise control system for electric vehicle”, International Conference on Mechanical Engineering and Mechatronics, August 8-10 2013, Toronto, Ontario, Canada. H. Askari, and E. Esmailzadeh, “Analytical vibration solutions of nanobeams considering surface effects”, ASME International Mechanical Engineering Congress and Exposition, IMECE2013, November 13-21, 2013, San Diego, California, USA. S. Garmsiri, F. Diba, and E. Esmailzadeh, “Analysis of adaptive cruise control in electric vehicles using control system algorithms”, International Conference on Mechanical Engineering and Mechatronics, August 8-10 2013, Toronto, Ontario, Canada. H. Askari, Z. Saadatnia, D. Younesian, and E. Esmailzadeh, “Large amplitude free vibration analysis of nanotubes using variational and homotopy methods”, ASME International Design Engineering Technical Conferences, IDETC/CIE 2013, August 4-7, 2013, Portland, Oregon, USA. S. Mohagheghi Fard, A. Goodarzi, A. Khajepour, and E. Esmailzadeh, “Design and Control of a Narrow Electric Vehicle”, IEEE International Electric Vehicle Conference (2012 IEVC), March4-8, 2012, Greenville, South Carolina, USA. A. Hadadian, R. Sedaghati, and E. Esmailzadeh, “Optimal Design of Magnetorheological Dampers considering Damping Force and Valve Ratio using Response Surface Method”, 53rd Structures, Structural Dynamics, and Materials Conference, 23-26 April 2012, Honolulu, Hawaii, USA. F. Diba, A. Barari, and E. Esmailzadeh, “Dynamic Performance Enhancement of Small Size Racing Car”, the CSME International Congress, June 4 -6, 2012, Winnipeg, Manitoba, Canada. T. Sun, E. Esmailzadeh, J. Ren, and Y. He, “Lateral Stability Improvement of Car-Trailer Systems Using Active Trailer Braking Control”, The CSME International Congress, June 4-6, 2012, Winnipeg, Manitoba, Canada. A. Goodarzi, E. Esmailzadeh, and A. Khajepour, “Fuzzy Control System Design for the Automatic Path Control of a Rotating Car”, the CSME International Congress, June 4 -6, 2012, Winnipeg, Manitoba, Canada. S. Tebby, A. Barari, and E. Esmailzadeh, “Multi-Objective Optimization of Vehicle Structure Under Various Loading Condition Using Simple Structural Beam Frame Approach”, CSME International Congress, June 4 -6, 2012, Winnipeg, Manitoba, Canada. A. Goodarzi, E. Esmailzadeh, and A. Khajepour, “Active Vibration Absorber for Vibration Control of Long-Wheelbase Vehicle Structure”, CSME International Congress, June 4 -6, 2012, Winnipeg, Manitoba, Canada. F. Diba, and E. Esmailzadeh, “Dynamic Performance Enhancement of Vehicles with Controlled Momentum Wheel System”, American Control Conference (ACC), June 27-29, 2012, Montréal, Quebec, Canada. S. Tebby, A. Barari, and E. Esmailzadeh, “Optimization of Vehicle Structure Considering Torsion Stiffness Using Simple Structural Beam Frame-Approach”, International Computer Aided Design Conference and Exhibition, June 11-14, 2012, Niagara Falls, Ontario, Canada. J.S. Grewal, R. Sedaghati, and E. Esmailzadeh, “Vibration Analysis and Optimization of Sandwiched Beam Structure using Higher Order Variation of Core Layer Displacement”, ASME 2012 International Design Engineering Technical Conferences & Computers and Information in Engineering Conference, August 12-15, 2012, Chicago, IL, USA. D. Younesian, H. Askari, and E. Esmailzadeh, “Large Amplitude Vibration Analysis of Shear Deformable FGM Cylindrical Shell”, ASME 2012 International Design Engineering Technical Conferences & Computers and Information in Engineering Conference, August 12-15, 2012, Chicago, IL, USA. F. Diba, A. Barari, and E. Esmailzadeh, “Active Aerodynamic System to Improve the Safety and Handling of Race Cars in Lane Change and Wet Road Maneuvers”, ASME 2012 International Design Engineering Technical Conferences & Computers and Information in Engineering Conference, August 12-15, 2012, Chicago, IL, USA. D. Younesian, H. Askari, Z. Saadatnia, and E. Esmailzadeh, “Analytical Solutions for Oscillation of Rectangular Plate on a Nonlinear Winkler Foundation”, Proceedings of the ASME 2011 International Design Engineering Technical Conferences & Computers and Information in Engineering Conference, August 28-31, 2011, Washington, DC, USA. S. Tebby, E. Esmailzadeh, and A. Barari, “Comparison of Numerical Methods for Determining Torsion Stiffness of Automotive Chassis”, Proceedings of the ASME 2011 International Design Engineering Technical Conferences & Computers and Information in Engineering Conference, August 28-31, 2011, Washington, DC, USA. A. Goodarzi, A. Soltani, and E. Esmailzadeh, “Active Variable Wheelbase as an Innovative Approach in Vehicle Dynamic Control”, Proceedings of the ASME 2011 International Design Engineering Technical Conferences & Computers and Information in Engineering Conference, August 28-31, 2011, Washington, DC, USA. F. Javid, E. Esmailzadeh, and D. Younesian, “Random Base Excitation of Timoshenko Beam Traversed by Moving Load”, Proceedings of the ASME 2011 International Design Engineering Technical Conferences & Computers and Information in Engineering Conference, August 28-31, 2011, Washington, DC, USA. M. Ansari, A. Khajepour, and E. Esmailzadeh, “Optimal Level Set Vibration Control of Plate Structures”, Proceedings of the ASME 2011 International Design Engineering Technical Conferences & Computers and Information in Engineering Conference, August 28-31, 2011, Washington, DC, USA. A. Barari, F. Diba, and E. Esmailzadeh, “Down Force Control of the Low Velocity Racing Car using Active Aerodynamic Inverse Wings”, Proceedings of the ASME 2011 International Design Engineering Technical Conferences & Computers and Information in Engineering Conference, August 28-31, 2011, Washington, DC, USA. D. Younesian, H. Askari, Z. Saadatnia, and E. Esmailzadeh, “Analytical Solutions for Nonlinear Lateral Sloshing in Partially-Filled Elliptical Tankers”, Proceedings of the ASME 2011 International Design Engineering Technical Conferences & Computers and Information in Engineering Conference, August 28-31, 2011, Washington, DC, USA. J. S. Grewal, R. Sedaghati, and E. Esmailzadeh, “Vibration Analysis and Optimization of Sandwiched Beam Structure using Nonlinear Variation of Core Layer Displacement”, Proceedings of the 2011 Conference on Dynamics, Vibrations and Control (DVC 2011), August 8-13, 2011, Calgary, Alberta, Canada. F. Diba, and E. Esmailzadeh, “Integrated Vehicle Yaw Moment Control System using Active Momentum Wheel and Differential Braking”, Proceedings of the 23rd Canadian Congress of Applied Mechanics, June 5‐9, 2011, University of British Columbia, Vancouver, B.C., Canada. J. J. Zhu, A. Khajepour, E. Esmailzadeh, and A. Kasaiezadeh, “Overview Introduction of Vehicle Dynamics with Novel Planar Suspension Systems”, SAE 2011 World Congress & Exhibition, 2011-01-0957, April 12-14, 2011, Detroit, MI, USA. M. Ansari, A. Khajepour, and E. Esmailzadeh, “Optimal Viscous Damper Placement using Level Set Topology Optimization Method”, Proceedings of the ASME 2010 International Mechanical Engineering Congress & Exposition, November 12-18, 2010, Vancouver, British Columbia, Canada. J. J. Zhu, A. Khajepour, and E. Esmailzadeh, “Study of Dynamic Performance of a Vehicle with Planar Suspension Systems in a Split-µ Braking-in-Turning”, Proceedings of the ASME 2010 International Mechanical Engineering Congress & Exposition, November 12-18, 2010, Vancouver, British Columbia, Canada. A. Goodarzi, S. Arabi, and E. Esmailzadeh, “Design of an Integrated AFS/ACD Control System to Enhance 4WD Vehicle Dynamics and Stability”, Proceedings of the ASME 2010 International Design Engineering Technical Conferences & Computers and Information in Engineering Conference, August 15-18, 2010, Montreal, Quebec, Canada. D. Younesian, and E. Esmailzadeh, “Application of Time-Increasing Internal Pressure in Vibration Reduction of Viscoelastic Rotary Beams”, Proceedings of the ASME 2010 International Design Engineering Technical Conferences & Computers and Information in Engineering Conference, August 15-18, 2010, Montreal, Quebec, Canada. F. Yang, R. Sedaghati, and E. Esmailzadeh, “Vibration Suppression using Distributed Tuned Mass Damper Technology”, Proceedings of the ASME 2010 International Design Engineering Technical Conferences & Computers and Information in Engineering Conference, August 15-18, 2010, Montreal, Quebec, Canada. A. Goodarzi, N. Pandarathil, and E. Esmailzadeh, “Vibration Control of Vehicles using Optimum Tuned Mass Damper”, Proceedings of the ASME 2010 International Design Engineering Technical Conferences & Computers and Information in Engineering Conference, August 15-18, 2010, Montreal, Quebec, Canada. J.J. Zhu, A. Khajepour, and E. Esmailzadeh, “Comparative Study of Turning Performance between a Vehicle with Planar Suspension systems and a Conventional Vehicle”, Proceedings of the ASME 2010 International Design Engineering Technical Conferences & Computers and Information in Engineering Conference, August 15-18, 2010, Montreal, Quebec, Canada. A. Goodarzi, M. Behmadi, and E. Esmailzadeh, “Optimized Braking Force Distribution during a Braking-in-Turn Maneuver for Articulated Vehicles”, Proceedings of the 2010 International Conference on Mechanical and Electrical Technology, ICMET, September 10-12, 2010, Singapore. B. Rezaie, I. Dincer, E. Esmailzadeh, “Evaluation of Alternative Energy Options for Buildings”, 5th International Ege Energy Symposium and Exhibition (IEESE-5), June 27-30, 2010, Denizli, Turkey. F. Yang, R. Sedaghati, and E. Esmailzadeh, “Vibration Suppression using Distributed Tuned Mass Damper Technology”, Proceedings of the 11th Pan-American Congress of Applied Mechanics (PACAM XI), January 04-08, 2010, Foz do Iguaçu, Brazil. F. Yang, R. Sedaghati, and E. Esmailzadeh, “Multi-Tuned Optimum Vibration Absorbers for Curved Beams”, ASME, International Mechanical Engineering Congress and Exposition, Nov. 13-19, 2009 Lake Buena Vista, Florida, USA. F. Yang, R. Sedaghati, and E. Esmailzadeh, “Optimal vibration control of flexible structures using multiple tuned mass dampers”, ASME, International Mechanical Engineering Congress and Exposition, Nov. 13-19, 2009 Lake Buena Vista, Florida, USA. M. Ansari, E. Esmailzadeh, and N. Jalili, “On Coupled Flexural and Torsional Oscillations of a Vibrating Beam Gyroscope System”, Proceedings of the ASME 2009 Dynamic Systems and Control Conference, October 12-14, 2009, Hollywood, California, USA. A. Goodarzi, M. Ghajar, A. Baghestani, and E. Esmailzadeh, “Integrated Yaw and Roll Moments Control for Articulated Vehicles”, SAE 2009 Commercial Vehicle Engineering Congress and Exhibition, October 6-8, 2009, Donald E. Stephens Convention Center, Rosemont, Illinois, USA. A. Goodarzi, D. Rahiminejad, E. Esmailzadeh, “Design of a Fuzzy Controller for Independent Control of Front Wheels Steering Angles”, Proceedings of the ASME 2009 International Design Engineering Technical Conferences & Computers and Information in Engineering Conference, August 30 - September 2, 2009, San Diego, California, USA. A. Goodarzi, E. Oloumi, E. Esmailzadeh, “Active Geometry Suspension (AGS) Systems Effects on Vehicle Stability and Handling”, Proceedings of the ASME 2009 International Design Engineering Technical Conferences & Computers and Information in Engineering Conference, August 30 - September 2, 2009, San Diego, California, USA. M. Ansari, E. Esmailzadeh, and D. Younesian, “Internal Resonance of Finite Beams on Nonlinear Foundations Traversed by a Moving Load”, ASME International Mechanical Engineering Congress and Exposition, 31 October – 6 November 2008, Boston, Massachusetts, USA. D. Younesian, F. Javid, and E. Esmailzadeh, “On-track Measurement of Lateral/Vertical Wheel Loads of Running Railway Vehicles Based on the Neural Network ASME International Mechanical Engineering Congress and Exposition, 31 October – 6 November 2008, Boston, Massachusetts, USA. P. A. Hassanpour, E. Esmailzadeh, W.L. Cleghorn, J.K. Mills, “Nonlinear Vibration of Micro-machined Resonators with Attached Excitation/Detection Electrostatic Comb-drives”, ASME International Mechanical Engineering Congress and Exposition, 31 October – 6 November 2008, Boston, Massachusetts, USA. F. Yang, R. Sedaghati, and E. Esmailzadeh, “Seismic Response Controlled Structure with Semi- Active Mass-Damper”, ASME International Mechanical Engineering Congress and Exposition, 31 October – 6 November 2008, Boston, Massachusetts, USA. P. A. Hassanpour, E. Esmailzadeh, W. L. Cleghorn, and J. K. Mills, “Experimental Analysis of Vibration of Micromachined Resonators”, ASME International Mechanical Engineering Congress and Exposition, 31 October – 6 November 2008, Boston, Massachusetts, USA. F. Yang, R. Sedaghati, and E. Esmailzadeh, “A New Lugre Friction Model For MR-9000 Type MR Damper”, ASME International Mechanical Engineering Congress and Exposition, 31 October – 6 November 2008, Boston, Massachusetts, USA. I. A. Hazrati, D. Younesian, M. Abedi, and E. Esmailzadeh, “Effects of Partially-Filled Containers in Dynamic Behavior of Tanker Trains Traveling on Curved Tracks”, ASME International Mechanical Engineering Congress and Exposition, 31 October – 6 November 2008, Boston, Massachusetts, USA. D. Younesian, A. Solhmirzaei, A. Gachloo, and E. Esmailzadeh, “Random Fatigue Failure of MD36 and MD523 Bogie Frames Due to Rail Corrugations”, ASME International Design Engineering Technical Conferences, 3-6 August 2008, New York, USA. M. Ansari, E. Esmailzadeh, and D. Younesian, “Parameter Sensitivity Analysis of Oscillating Beams on Nonlinear Foundation Subjected to Moving Loads”, 3rd Canadian Conference on Nonlinear Solid Mechanics, 25–29 June 2008, Toronto, Ontario, Canada. M. Ansari, E. Esmailzadeh, and D. Younesian, “Vibration of Finite Beam on Nonlinear Foundation Traversed by Moving Load”, 2008 CSME Forum, June 5-8, 2008, Ottawa, Ontario, Canada. M.T. Ahmadian, R.A. Jafari-Talookolaei, and E. Esmailzadeh, “Multi-Span Laminated Composite Beam Traversed by Moving Non-rigid Masses”, 49th AIAA/ASME/ASCE/AHS /ASC Structures, Structural Dynamics, and Materials Conference, 7-10 April 2008, Schaumburg, Illinois, USA. M. Moghaddas, R. Sedaghati, E. Esmailzadeh, and P. Khosravi, “Finite Element Approach for Vehicle-Structure Interaction of a Uniform Timoshenko Bridge”, 49th AIAA/ASME/ASCE/AHS /ASC Structures, Structural Dynamics, and Materials Conference, 7-10 April 2008, Schaumburg, Illinois, USA. A. Singh, R. Sedaghati, and E. Esmailzadeh, “Buckling Analysis of Stiffened Panels using Finite Element Force Method”, Proceedings of the Tenth Pan American Congress of Applied Mechanics (PACAM X), 7–11 January 2008), Cancun, Mexico. A. Singh, R. Sedaghati, and E. Esmailzadeh, “Sensitivity Analysis and Design Optimization of Stiffened Panels using Finite Element Force Method”, Proceedings of the Tenth Pan America Congress of Applied Mechanics (PACAM X), 7–11 January 2008, Cancun, Mexico. P. A. Hassanpour, W.L. Cleghorn, E. Esmailzadeh, and J.K. Mills, “Vibrations of an Euler-Bernoulli Beam with a Guided Mass”, Proceeding of the 21st Canadian Congress of Applied Mechanics, June 3-7, 2007, Toronto, Canada. F. Yang, R. Sedaghati, and E. Esmailzadeh, “Passive Vibration Control of Timoshenko Beams Using Optimal Tuned Mass Dampers”, Proceeding of the 21st Canadian Congress of Applied Mechanics, June 3-7, 2007, Toronto, Canada. M. Ansari, E. Esmailzadeh, and D. Younesian, “Sensitivity Analysis in Longitudinal Freight Trains Dynamics”, Proceeding of the 21st Canadian Congress of Applied Mechanics, June 3-7, 2007, Toronto, Canada. M. Ansari, I. Hazrati, and E. Esmailzadeh, “Dynamic Loadings of Tracks through a Passing Train under Different Conditions”, Proceeding of the 21st Canadian Congress of Applied Mechanics, June 3-7, 2007, Toronto, Canada. A. Goodarzi, M. Behmadi, and E. Esmailzadeh, “An Optimized Braking Force Distribution Strategy for Articulated Vehicles”, Proceedings of the 20th International Association of Vehicle System Dynamics Symposium, August 13–17, 2007, Berkeley, California, USA. A. Goodarzi, A. Soltani, and E. Esmailzadeh, “Handling Improvement of Motorcycles Using Active Seats”, Design of an optimal control strategy for an active front steering system”, Proceedings of the Fifth IFAC Symposium on Advances in Automotive Control, August 20-22, 2007, Seascape Resort, Aptos, California, USA. P.A. Hassanpour, W.L. Cleghorn, E. Esmailzadeh, and J.K. Mills, “Vibration Analysis of Axially Loaded Euler-Bernoulli Beams with Guided mass”, Proceedings of the ASME International Design Engineering Technical Conferences, 21st Biennial Conference on Mechanical Vibration and Noise, September 4-7, 2007, Las Vegas, Nevada, USA. F. Yang, R. Sedaghati, and E. Esmailzadeh, “In-Plane Free Vibration of Curved Beams Using Finite Element Method”, Proceedings of the ASME International Design Engineering Technical Conferences, 21st Biennial Conference on Mechanical Vibration and Noise, September 4-7, 2007, Las Vegas, Nevada, USA. M. Ansari, D. Younesian, and E. Esmailzadeh, “Effects of Coupler Specifications and Operational Conditions on the Longitudinal Freight Train Dynamics”, Proceedings of the ASME International Design Engineering Technical Conferences, 21st Biennial Conference on Mechanical Vibration and Noise, September 4-7, 2007, Las Vegas, Nevada, USA. F. Yang, R. Sedaghati, and E. Esmailzadeh, “Random Vibration Suppression of Non-uniform Curved Beams using Optimal Tuned Mass Damper”, Proceedings of the ASME International Design Engineering Technical Conferences, 21st Biennial Conference on Mechanical Vibration and Noise, September 4-7, 2007, Las Vegas, Nevada, USA. M. Ansari, D. Younesian, and E. Esmailzadeh, “Effects of Load Distribution Patterns on the Longitudinal Freight Train Dynamics”, Proceedings of the ASME International Design Engineering Technical Conferences, 21st Biennial Conference on Mechanical Vibration and Noise, September 4-7, 2007, Las Vegas, Nevada, USA. M.T. Ahmadian, E. Esmailzadeh and M. Asgari, “Dynamical stress distribution analysis of a non-uniform cross-section beam under moving mass”, ASME International Mechanical Engineering Congress and Exposition, November 5-10, 2006 Chicago, Illinois, USA. H. Farahpour, D. Younesian and E. Esmailzadeh, “Ride quality of high-speed trains traveling over the corrugated rails”, Proceeding of ASME International Mechanical Engineering Congress and Exposition, Chicago, Illinois, USA, 2006. A. Goodarzi and E. Esmailzadeh, “An optimal vehicle stability enhancement strategy for articulated vehicles”, Proceeding of ASME International Mechanical Engineering Congress and Exposition, Chicago, Illinois, USA, 2006. N. Pandarathil, D. Younesian and E. Esmailzadeh, “Application of the delayed resonators in active suspension systems of high-speed trains”, Proceeding of ASME International Mechanical Engineering Congress and Exposition, Chicago, Illinois, USA, 2006. A. Goodarzi, N. Alesafar and E. Esmailzadeh, “Optimization of suspension mounting stiffness using the DOE method”, Proceeding of ASME International Mechanical Engineering Congress and Exposition, Chicago, Illinois, USA, 2006. D. Younesian, S. Mohammadzadeh, and E. Esmailzadeh, “Dynamic Performance, system identification and sensitivity analysis of the ladder tracks”, Proceedings of the 7th World Congress on Railway Research, Montreal, Canada, 2006. M.T. Ahmadian, E. Esmailzadeh, and M. Asgari, “Dynamic analysis of non-uniform cross-section beams under moving mass”, Proceedings of the CSME Forum, Calgary, Alberta, Canada, 2006. A. Goodarzi, and E. Esmailzadeh, “Optimal vehicle dynamic control strategy for articulated vehicles”, Proceedings of the CSME Forum, Calgary, Alberta, Canada, 2006. P.A. Hassanpour, W.L. Cleghorn, E. Esmailzadeh, and J.K. Mills, “Modelling and analysis of a resonant sensor actuated by a bent beam thermal actuator”, Proceedings of the 17th IASTED International Conference on Modelling and Simulation, p 274-279, 2006. P.A. Hassanpour, W.L. Cleghorn, E. Esmailzadeh, J. K. Mills, “Modeling and analysis of MEMS-based resonant sensor actuated by bent beam thermal actuator”, Proceedings of SPIE - The International Society for Optical Engineering, Vol. 6111, p 61110W, 2006. A. Goodarzi, E. Esmailzadeh, B. Nadarkhani, “Design of an optimal control strategy for an active front steering system”, Proceedings of 8th Biennial ASME Conference on Engineering Systems Design and Analysis, ESDA2006, 8p, 2006. F. Yang, R. Sedaghati, D. Younesian and E. Esmailzadeh, “Active vibration control of adaptive truss structures”, Proceedings of ASME International Design Engineering Technical Conference, Long Beach, California, USA, 2005. D. Younesian, M. H. Kargarnovin and E. Esmailzadeh, “Passive vibration control of elastically supported beams subjected to moving loads”, Proceedings of ASME International Design Engineering Technical Conference p 153-158, 2005, Long Beach, California, USA. S. N. Mahmoodi, S.E. Khadem, and E. Esmailzadeh, “Equations of motion for large –amplitude vibration of nonlinear viscoelastic beams”, Proceedings of the ASME IDTC, Long Beach, California, USA, 2005. D. Younesian, E. Esmailzadeh and R. Sedaghati, “Existence of periodic solutions for generalized Mathieu equation”, Proceedings of ASME International Design Engineering Technical Conference, Long Beach, California, USA, 2005. P.A. Hassanpour, E. Esmailzadeh, and H. Mehdigholi, “Vibrations of beams with unconventional boundary conditions using artificial neural network”, Proceedings of the ASME IDTC, Long Beach, California, USA, September 24-28, 2005. D. Younesian, M.H. Kargarnovin, and E. Esmailzadeh, “Vibration of track with randomly distributed parameters”, Proceedings of the Sixth European Conference on Structural Dynamics, Paris, France, September 4-7, 2005. P. Hassanpour Asl and E. Esmailzadeh, “Application of artificial intelligence in vibration analysis of beams with unconventional boundary conditions”, Proceedings of the IEEE International Conference on Mechatronics and Automation, Niagara Falls, Ontario, Canada, Vol. 4, pt. 4, p 2049-2054, 2005. F. Yang, R. Sedaghati, D. Younesian and E. Esmailzadeh, “Optimal placement of active bars in smart structures”, Proceedings of the IEEE International Conference on Mechatronics and Automation, Niagara Falls, Ontario, Canada, Vol. 1, pt. 1, p 1-6, 2005. F. Yang, D. Younesian, R. Sedaghati, E. Esmailzadeh, “On the placement of active bars and optimal feedback gain in random adaptive structures for vibration suppression”, Proceedings of the ASME International Design Engineering Technical Conferences and Computers and Information in Engineering Conferences - DETC2005: 20th Biennial Conf. on Mechanical Vibration and Noise, p 179-188, 2005. D. Younesian, E. Esmailzadeh, R. Sedaghati, “Transition curves for nonhomogeneous Mathieu equation”, Proceedings of the ASME International Design Engineering Technical Conferences and Computers and Information in Engineering Conferences - DETC2005: 20th Biennial Conf. on Mechanical Vibration and Noise, p 243-247, 2005. N. Mahmoodi, S. Khadem, E. Esmailzadeh, “Equations of nonlinear motion of viscoelastic beams”, Proceedings of the ASME International Design Engineering Technical Conferences and Computers and Information in Engineering Conferences - DETC2005: 20th Biennial Conf. on Mechanical Vibration and Noise, p 231-235, 2005. M.A. Rosen and E. Esmailzadeh, “University of Ontario Institute of Technology and its Automotive Engineering Program”, Proceedings of the fifth International Conference on Advanced Manufacturing Technologies, IMTI, London, Ontario, Canada, May 16-18, 2005. A. Goodarzi and E. Esmailzadeh, “Stability analysis and optimal controller design of four-wheel independent drive vehicles”, Proceedings of the Canadian Society for Mechanical Engineering Conference, London, Ontario, Canada, June 1-4, 2004. P. Hassanpour, H. Mehdigholi, and E. Esmailzadeh, “Vibration analysis of axially loaded bridges traversed by accelerating vehicles with passenger dynamics”, Proceedings of the ASME Engineering Systems Design and Analysis, Manchester England, UK, Vol. 2, p 275-280, 2004. A. Goodarzi, B. Nadarkhani, and E. Esmailzadeh, “Optimal active front wheels steering control”, First Cappadocia International Mechanical Engineering Symposium, Nigde University, Nigde, Turkey, July 14-16, 2004. A.R. Ohadi, H. Mehdigholi, and E. Esmailzadeh, “Stability and frequency analysis of non-uniform Timoshenko beams subjected to axial loads”, First Cappadocia International Mechanical Engineering Symposium, Nigde University, Nigde, Turkey, July 14-16, 2004. A. Goodarzi, B. Naderkhani, and E. Esmailzadeh, “Directional modeling and simulation of four-wheel independent drive electric cars”, IASTED International Conference on Modelling, Simulation, and Optimization, Banff, Alberta, Canada, July 2-4, 2003. A.R. Ohadi, H. Mehdigholi, and E. Esmailzadeh, “Vibration and frequency analysis of non-uniform Timoshenko beams subjected to axial forces”, Proceedings of the ASME International Mechanical Engineering Congress and Exposition, Washington, DC, USA, Vol. 2, p 1057-1064, 2003. A.R. Ohadi, H. Mehdigholi, and E. Esmailzadeh, “Feed-forward multiple-input active noise control system design”, ASME International Mechanical Engineering Congress and Exposition, Washington, DC, USA, p 143-150, 2003.